Wendy. Wild & Free? Or Tethered Like The Rest Of Us? I very haphazardly mentioned Wendy yesterday and the fact that she has a nasty piece of plastic, maybe mono-filament, wrapped around her leg. A number of people were very concerned. That’s amazing. You are amazing. I already stuck my neck out talking about plastic once. I really don’t like being a downer about the beach, and I really, really don’t want to become known as “plastic guy.” But this is our very own Wendy and we harmed her, so now we should help her. She became entangled two days ago. While it does not look to be cutting her leg, it does appear to be knotted quite tightly. Hopefully she can work it free. If not, trapping her might be a consideration. 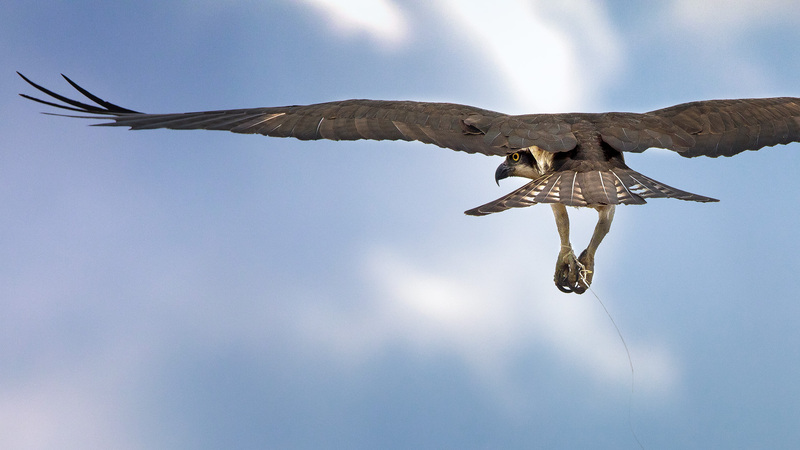 It’s not easy to trap an adult Osprey. Thankfully, she is the female and we hope she’ll be on eggs soon. That would make the whole thing much easier. Ben Wurst, the Osprey Hero, is on it. One way or another, that thing needs to come off. Not only is it a danger to Wendy, it is also a danger to Jack, but most especially, any babies we might see this year. As much as I’d love to tie Wendy to our Island forever, this is not how to do it. If you’re a Wendy Watcher (I should make T-Shirts), keep a close eye on her and immediately report any signs she has become permanently tethered to something. In the meantime, enjoy the tiny bright side: it is really easy to tell which one is Wendy. Use the opportunity to compare the two birds. Wendy, like most female Osprey, is slightly larger than Jack. She also sports the “necklace”; a large ring of brown feathers coming down from the neck and around the breast common on the ladies. Stay tuned, and godspeed Wendy! 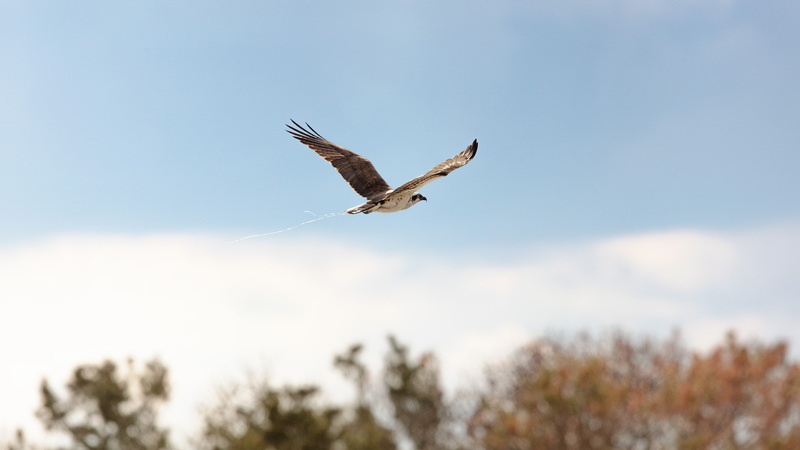 Posted in Wildlife and tagged jack & wendy, LBI, lbi osprey, Long Beach Island, osprey, plastic, wendy. Bookmark the permalink. Ahhh! This is heart wrenching! I hope Wendy gets free of this! Off! The sooner the better. Thanks to all in advance for the removal. The line hasnt been removed has it? If anyone can help Wendy, it’s Ben. This is what mankind;s thoughtless actions do to our wildlife. We should be ashamed. 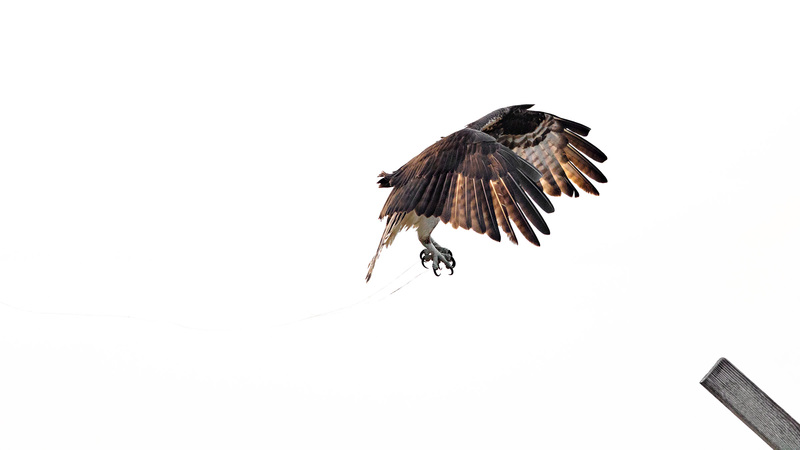 Discarded fishing line, as well as baling twine, are avoidable dangers to both adult Ospreys and chicks. 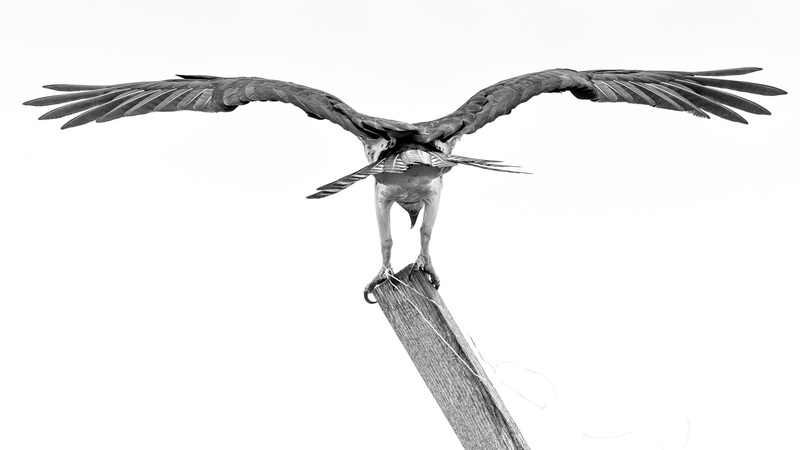 Trashed Osprey. Keepin’ It Local.